Only the best organic skin care for the mom in your life. With Mother’s Day on the horizon, it’s time to start thinking about the perfect gift – something thoughtful but not cheesy, useful but not utilitarian – something that says thank you for being the matriarch. Sometimes the most meaningful gifts are a little longer lasting than flowers or chocolate - which inevitably end up in the trash or invariably digested. 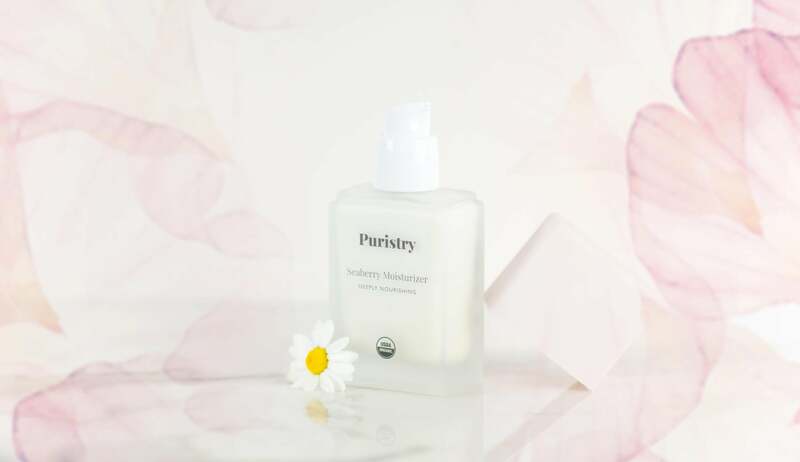 So in the spirit of avoiding the quick throw away gift, we’ve rounded up a meaningful skin care routine that you can gift as a set – it will keep Mom thinking of you until next Mother’s day (with Puristry products, a little goes a long way), and will give her long-term benefits and real results. It’s been curated with skin care woes in mind that typically become an issue for more mature dermises, and it’s luxurious enough to function as a DIY spa-worthy set with serious pampering potential. As a group, these products cover an entire routine: cleansing, toning, serum, eye treatment, facial oil, and finally moisturizer. And in that order. Layering is key in order to reap maximum results from each product, so when you gift your mom this set, make sure you give her the application breakdown. After cleansing, toning is an important step to remove impurities leftover after cleansing, and to prep pores for maximum absorption of subsequent active ingredients. Next, the rule of thumb is to apply the lightest product to the heaviest product. Active ingredients should be applied to clean bare skin post-toning, followed by serum, then facial oil. And a routine should always end with a moisturizer that will create a protective layer over your dermis to seal in the other products from evaporation. Armed with this knowledge, your mom will be a radiant goddess in no time (even more so than she is already – maybe mention this in your card). 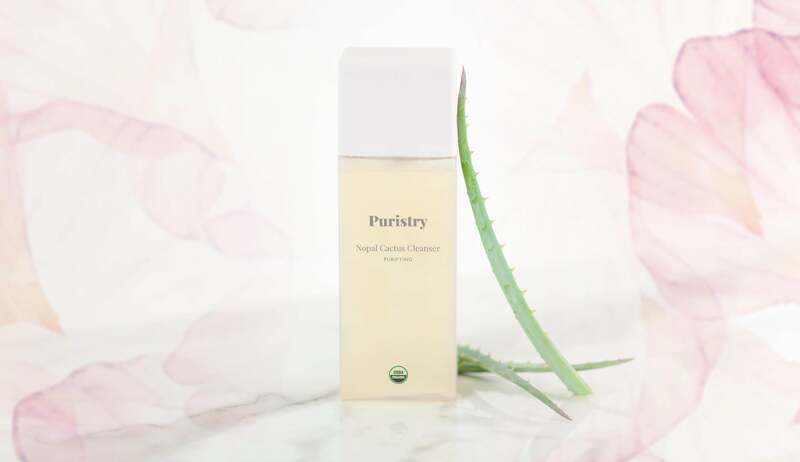 Nopal Cactus Cleanser is step one in our mother’s day gift guide. It’s a complexion brightening tonic that’s suitable for extra sensitive or chronically dry skin types, and your mom will love the floral desert aroma, which can be described as a mixture of earthy, spicy, and aromatic. The key ingredient in this gem is nopal cactus, the most betalain rich plant in existence; betalains are the pigments that endow the nopal cactus withs its vibrant red hue. They contain a super high antioxidant content, meaning they effectively encourage cell turnover for increased elasticity and glow – this makes it an ultra potent anti-aging ingredient that works well for mature skin suffering from a dull tone. The formula also includes prickly pear, another desert flower with high levels of skin-softening vitamin E and K, and nourishing fatty acids that slow signs of aging. It’s perfect for everyday use for your mom, thanks to its ultra gentle consistency and skin-calming properties. Flower Water Toner is our cult fave toner – think of it as a bottled bouquet that won’t wilt. 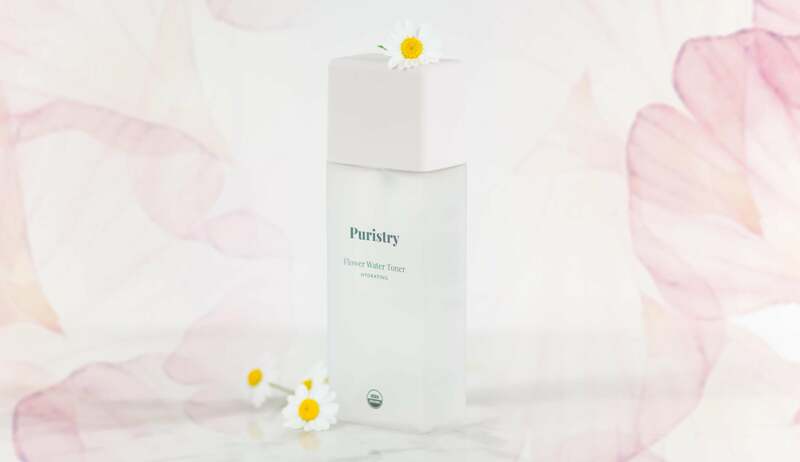 Designed to be applied post-cleanse, this product is ultra calming and soothing for any redness, inflammation, or sun damage, and works as an effective humectant, delivering H2O to parched skin cells. Your mom will love that its base is made up of floral hydrosols, which are hydrating waters that are generated from the process of distilling flowers. The resulting ethereal liquid is a spring water with trace amounts of moisture and vitamins from the extracted oil. Hydrosols are ultra effective for creating an even-toned and balanced complexion that’s both calmed and plumped. What’s more, it’s a nice aromatherapeutic experience – your mom will love the anti-anxiety effects of its floral undertones. Our formula includes rose hydrosol, which heightens blood flow and restores the skin’s pH balance, as well as calendula hydrosol, an antibacterial astringent that effectively rinses skin of trace impurities leftover from cleansing. 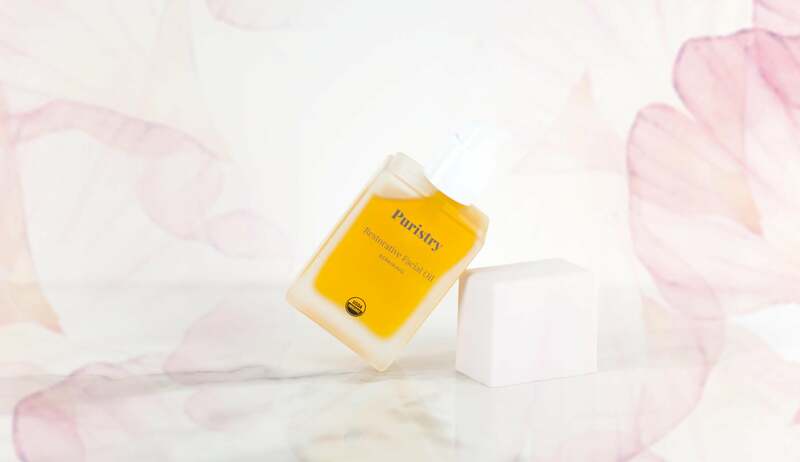 Plus, this toner contains hyaluronic acid, an ingredient that stimulates collagen production and reduces the appearance of discoloration and fine lines – so while mom’s enjoying the soothing flora aroma, she can also pump the brakes on early signs of aging. Our Vine Therapy Serum will allow your mom to enjoy the art of fine aging, or perhaps aging finely. This is an ultra potent product designed to be applied after toner. It’s a powerful concentration of antioxidant dense ingredients that work synergistically to reverse signs of aging and damage caused by environmental pollutants and external stressors. We call it a therapy for a reason: over time, it addresses underlying factors contributing to a dull visage, like chronic under-absorption of moisture and accumulated buildup of pollutants from exposure to everyday toxins (especially key if your mama lives in an urban area, where smoke and pollution can exacerbate skin issues). The formula features grape seed extract, a powerful antioxidant punch that binds to free radicals (which damage healthy skin cells and contribute to reduced collagen levels). The specific antioxidant in grapeseed – oligomeric proanthocyanidins, or OPCs – contain 20 times the antioxidant power of Vitamin E and 50 times the antioxidant power of Vitamin C. That’s some serious wrinkle-fighting power. Working with this antioxidant power, the formula also features organic acai gum, another powerful ingredient that battles antioxidant deficiency and its associated dullness and lack of tautness. Only the best for the queen. Because life is stressful and sleepless nights happen, especially when you’re a mother, a good eye cream that does heavy duty damage control is a must-have for our mother’s day gift guide. 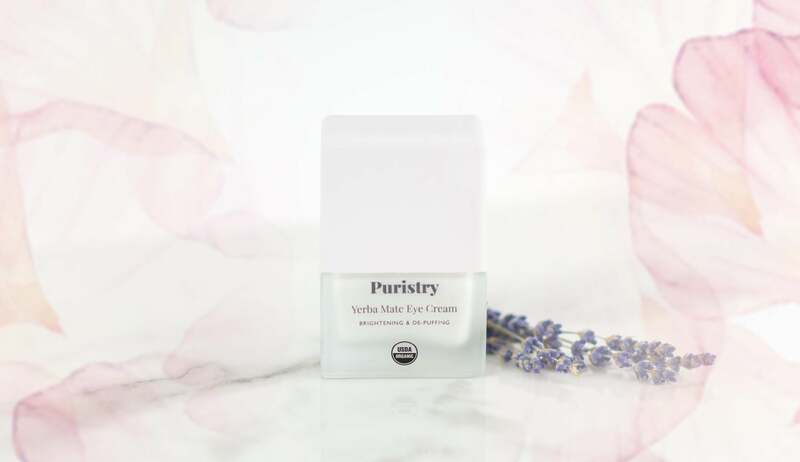 Our Yerba Mate Eye Cream fights the dark eye circles of hardworking moms everywhere, with an ultra targeted formula that increases circulation, battles fluid buildup, brightens darkness, and treats fine lines and wrinkles. Our formula contains caffeine rich yerba mate, which stimulates blood flow and circulation and therefore effectively facilitates drainage of fluid, meaning no more puffiness. It also contains organic shea butter and coconut oil, both key ingredients for gently hydrating the delicate eye area and delivering essential fatty acids to battle the development of fine lines and creases. It’s formulated to penetrate effectively into the delicate pores around the lids and under-eye crescents – because they’re smaller than pores on other parts of your face they’re less prone to clogging, so a good eye cream is richer and more nutrient dense than a moisturizer designed to be used on your cheeks and jawline. This one will keep mom’s peepers bright and alert on a daily basis. Restorative Facial Oil: This sweetheart product is perfect for when your mom needs a pamper session that simultaneously gets real results. Our formula uses organic cold pressed oils, meaning that none of the ingredients have been treated with high heat or chemical refinement processes. This means that the integrity of all of the constituent vitamins and minerals remains intact, delivering potent moisture and protection to epidermal layers. Our formula contains cold pressed rosehip oil, high in vitamin A so quite effective for battling age spots, as well as jojoba seed oil (promotes sebum regulation and balanced lipid production), and pomegranates seed oil (an antioxidant powerhouse that stimulates cell turnover). This is an immensely nutritious step to a routine that will leave your mom’s face protected and sealed, and she’ll feel as indulged as she deserves to. Check out more beauty tips on how to correctly use a facial oil. For everyday moisturizing, our Seaberry Moisturizer is a must-have with potent anti-aging ingredients, a luscious texture, and easy, greaseless absorption that feels totally weightless. Seaberry is a potent superfood currently generating buzz due to its unbelievable high phytonutrient content – it contains over fifty ultra nourishing phytonutrients which contribute to healthy skin cell regeneration, elasticity, and even-tone. Plus, seaberries contain Omega 7, Omega 3, Omega 6, and Omega 9 – this four-part fatty acid quadrant boost skin’s collagen production for a denser and firmer dermis with more tautness and tightness. Your mom will love the potent results and the tangible anti-aging benefits, and it plays nicely with even the most sensitive skin. The formula also contains organic grapeseed oil for an effective antioxidant dose, plus Japanese honeysuckle extract (which does double duty as a natural preservative for a long shelf life, and subtle floral scent). This step will seal in the previous product layers, and will help your mom put her most dewy face forward. There’s our mother’s day gift guide - super practical but also ultra pampering, this set of gifts has serious anti-aging benefits for mature skin, and is a gift that will produce longtime enjoyment and self-care.